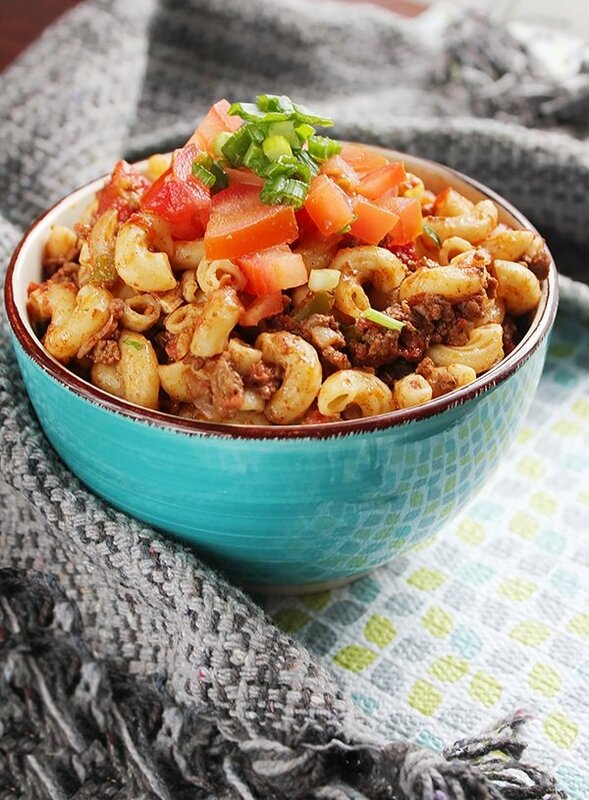 This Simple Ground Chuck Pasta dish is ready in 25 minutes, although simple but divine. 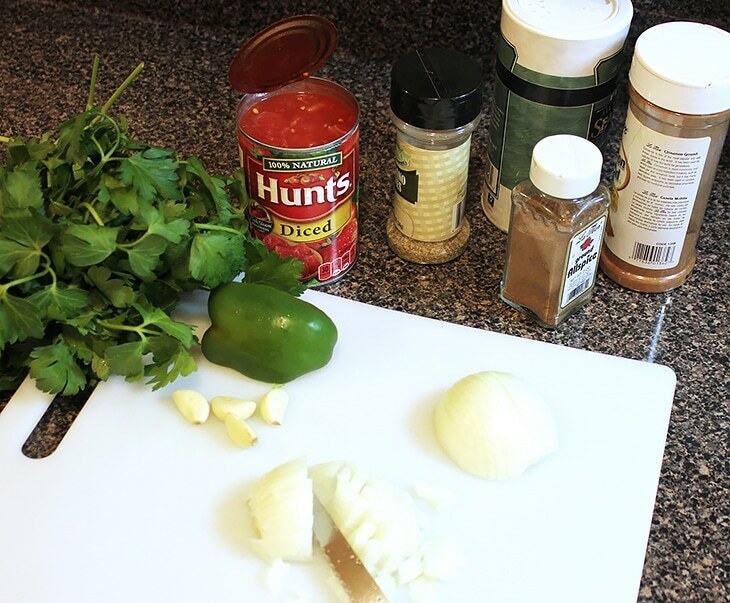 I’m excited to share this post with you today, because I found a great ingredient that cut my cooking preparation time, and tastes absolutely awesome. Being a food blogger, and having the passion to spend time in the kitchen, to produce new and delicious recipes, doesn’t mean that there aren’t other times, when I don’t want to spend much time in the kitchen, and just watch YouTube videos, which lately became a habit. Fresh ingredients are the key to healthy and delicious food, but today I thought of taking a short cut, and used canned diced tomatoes. 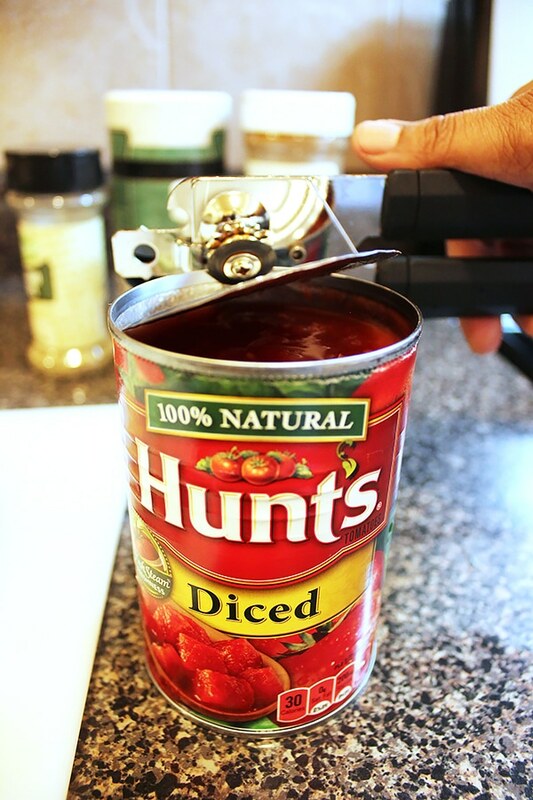 When I opened, Hunt’s diced tomatoes can I didn’t smell anything chemical or strange, like I usually do with other brands, and that is the reason why I avoid canned diced tomatoes, instead it smelled like tomatoes. The real surprise was when I poured Hunt’s diced tomatoes in the pan. I was like “Maaan! Are you serious?!”. I could not believe how fresh these canned diced tomatoes looked! Have a look at the picture below, and tell me if it does not look like freshly diced tomatoes. 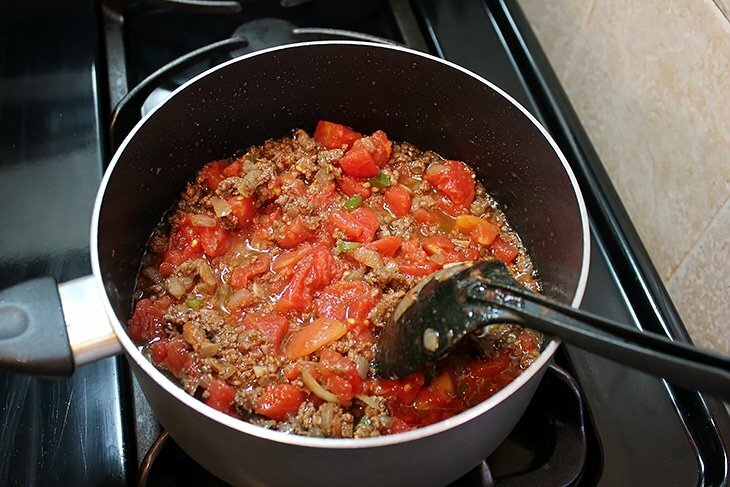 I went on cooking my ground chuck sauce, seasoned it, let it simmer for few minutes, and when it’s done, it tasted just like the one I make using freshly bought tomatoes. One last thing about Hunt’s diced tomatoes, it has the skin on and some seeds, which I like, but some may be looking for skinless diced tomatoes. 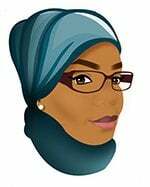 Follow me on Instagram, and if you happen to make any of my recipes, please post the picture and mention me in your post, or use this hash tag #munatycooking. I would love to see your creation. As for my recipe, here you go! 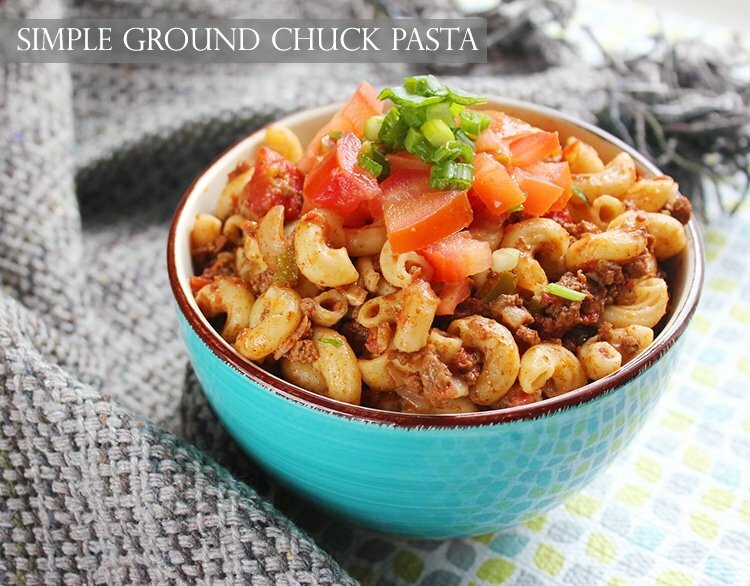 Simple and quickly prepared ground chuck pasta, although simple but divine and flavorful. Boil macaroni as instructed on the box. Keep aside. In a saucepan, add oil and when hot add the onion and fry until translucent. Add the ground chuck and stir for 4 minutes. 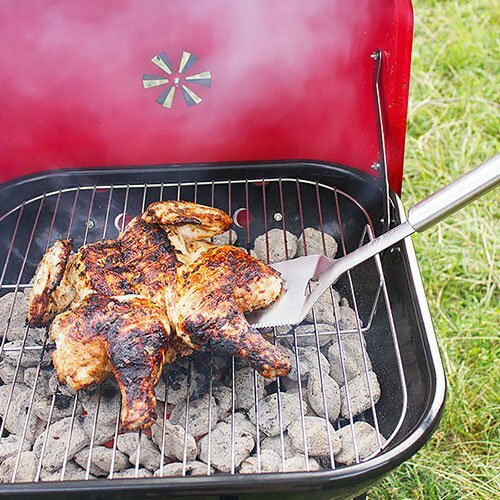 Add rest of ingredients and let it cook on medium high until meat completely cooked (may take 15 – 20 minutes). 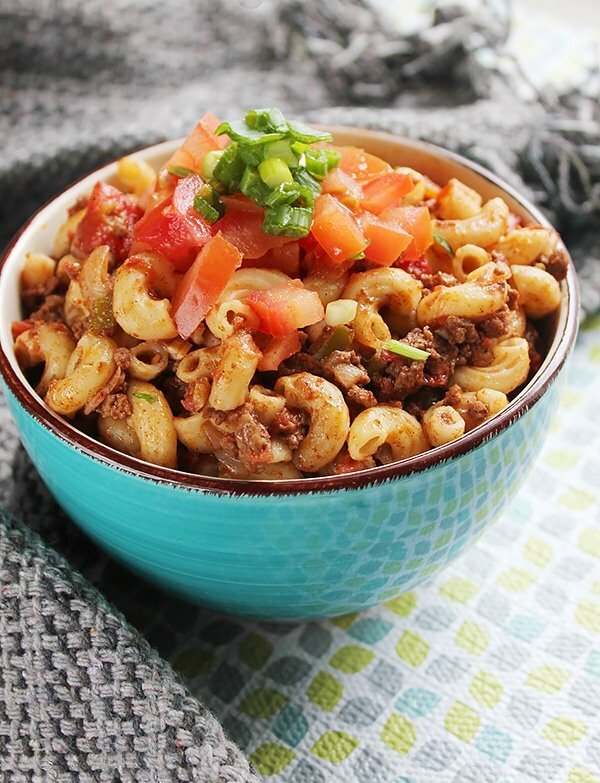 Add the cooked macaroni on the meat sauce, and mix for one minute. 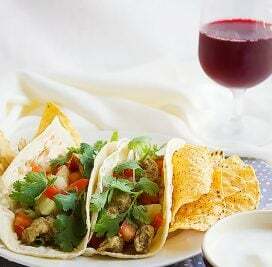 Let this dish rest for at least 30 minutes before serving, to enhance the flavor. 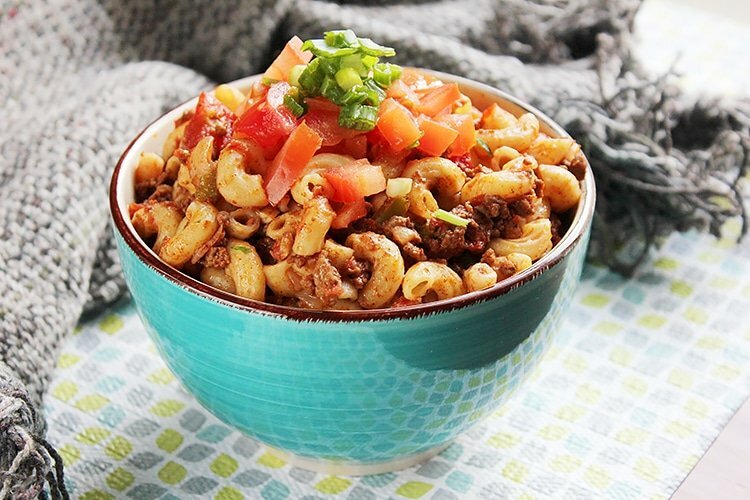 What a wonderful every day pasta recipe. I have pinned this to try it. Thanks. What very satisfying pasta! Easy to make but looks very tasty. Yummy!